Bob and Kevin followed me everywhere. They seemed to think that the twenty five or so words I had managed to learn in Japanese would keep us safe and help us to not get hopelessly lost. I took the silly dictionary with me everywhere but it was more my keen ear for subtleties within accents and willingness to make a fool of myself until I got it right that made me the best choice Bob and Kevin had when it came to available tour guides and translators. We were good friends before we got to Nagano anyway, so it made sense that we would tool around together. 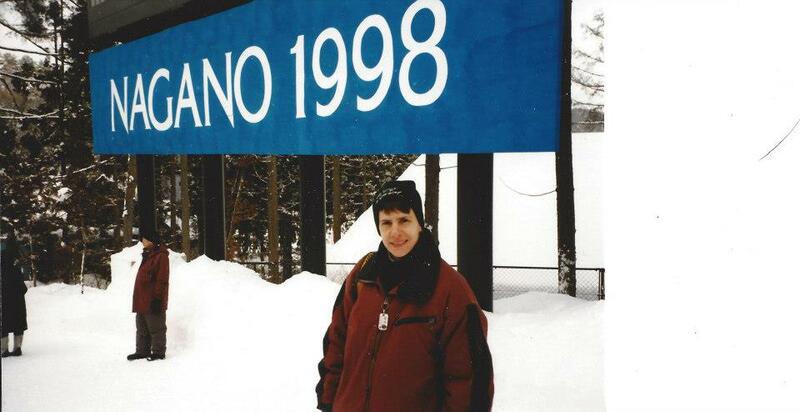 Of all the Olympics I have been to, Nagano will forever remain my favorite. It was my first, Bob’s and Kevin’s third. We all worked for CBS. They had been to Albertville in France and Lillehammer in Norway before I started working there. 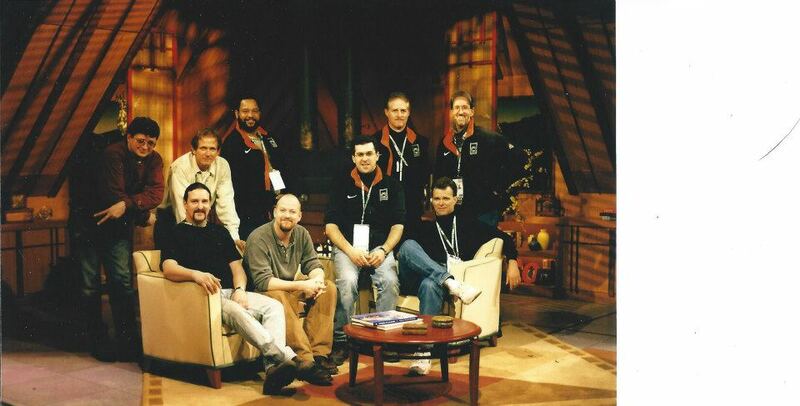 It had been a dream of mine to work the Games so when the opportunity arose to be one of only three stage managers taken to Japan by the network, I was thrilled. As a kid I had hoped to be an Olympian someday but I wasn’t a good enough athlete and the dedication needed just wasn’t there so going as part of the media was the next best thing. I arrived in Tokyo on a brisk January evening. It was dinner time and I had only this one night to experience the big city before being whisked away the following morning to the mountains where the games would be held. Bob and Kevin were still in New York and wouldn’t arrive for another five days so Nick and Mary headed down to the subway with me to make sure I got to the neighborhood I had in mind before scurrying off on their own planned adventure. We took the train that, according to the map, would get me closest to where I wanted to be, but I wasn’t sure I had made it to Shinjuku until I saw all the rainbow flags hanging from the low buildings. Nick and Mary waved goodbye and told me to be careful. They went in search of sushi and live music. I checked out the gay bars. Shinjuku is like the West Village of Tokyo. I went into a lesbian bar that was the size of a big walk-in closet and paid the equivalent of almost $50.00 for the cover charge. When I sat down at the bar, all eyes were upon me. With a smile, I ordered an Asahi and it arrived with a steaming, complimentary bowl of delicious vegetable soup. The bartender spoke some English. She could tell I was from New York. I told her I was there for the Games and she told the three other patrons this. I heard a lot of indecipherable words but somewhere in the middle of what she said to them I distinctly heard “CBS” and “Olympics” and watched them all nod in recognition. They proudly showed me photos from the gay pride march that had taken place in Tokyo the previous June. The next bar was bigger but only slightly. Again I paid the crazy cover charge and again my beer came with a delicious bowl of soup. It’s the custom. And this bar was noisier. There were more customers. There were more bartenders. There was karaoke. I later learned that there was karaoke almost everywhere you went in Japan, even on tour buses and in fast food restaurants. The cute bartender spoke decent English and asked where I was from. I happily told her Brooklyn and she happily handed over the karaoke song book and insisted that I pick something to sing. And I do love to sing. Before I became half deaf and I could actually hear what was spewing from my mouth I had a pretty decent voice. But I like to sing torch songs, like Ella and Lena and even kd lang. There was none of that in the song book. All I could find was Over The Rainbow by Judy Garland, so that’s what I picked. We all had a good laugh when I was finished. In one corner, on the big front window bench, there was a young lesbian who was passed out from drinking. Her concerned friends, rather than taking her home in a taxi, kept escorting her to the bathroom, presumably so she could puke her guts out. Then they would gently deposit her into her corner seat where she would promptly fall over and pass out again. It was after 1AM but no one showed signs of slowing down or getting ready to head home, even though it was the middle of the week. The bartender admitted that her customers would not leave until after three, get perhaps 4 hours of sleep, work a full day at a boring office job and be right back at the bars the next evening. I thought, if I tried that as a way of life, I’d be dead from exhaustion in no time. Once Bob and Kevin arrived in Nagano we started going everywhere together. Our hours were the best I have ever had for any of my Olympic tours. We were on the noon to midnight shift but since all we were there to do was CBS This Morning, our director would sometimes tell us not to show up until 4 or 5PM. We got to see a lot of hockey games once the flame had been lit and we were generally wrapped by 11, when the show ended on the east coast of the States at 9 in the morning. Our industrious stagehands, who had been there for months building and lighting the studio, had found an amazing restaurant called Zen and the whole crew went there for late dinner almost every night. In the mornings, Bob and Kevin and I got to see a lot of the unique and exotic places the region had to offer. We took the train to Kobayashi to see the snow monkeys and sit in the extremely hot water of the local onsen or hot spring. It took me 20 minutes to get in and then I only lasted a little more than three and had to get out. My skin, beet red, felt invigorated and smooth. I took them to the temple right in Nagano and helped them walk through the pitch dark, curving downstairs hallway to find the ornament in the wall which, if found and pulled, would lead to salvation. We went to Mongolian barbeque and a small restaurant everyone called sushi choo-choo because of how the plates of fish came out of the kitchen and floated by the counter on a conveyor belt, available to be plucked up and devoured. I don’t like sushi so I went for the novelty and ate mostly California rolls with lots of wasabi and ginger. And Japanese beer, of course. No saki for this lightweight! Our best adventure, though, came high up in the mountains, reached by bus through curving and very scary narrow roads, at the bobsleigh and luge venue. The three of us, known by this time as the Mod Squad, got off the bus and headed to the press entrance. We had tickets but we thought we could beat the long lines by flashing our credentials. Bob and I breezed through security and started walking, figuring Kevin was right behind us. He wasn’t. We turned back to see him being detained and pointed at by a security guard, while another held his arm to stop his progress. The first thing Bob and I thought of was, oh wow, not here. Not in this beautiful, ancient country. Racism, really? Because Kevin’s skin is brown? We breezed through but they are holding him? We looked at each other in disbelief and started to make our way back to the gates. Another security guard, this one with more medals and stripes on his uniform than the others, rushed to our side and beckoned us, all three of us, to follow him. His broken English was as urgent as he could make it, given the difficulty he had with the language. “Come now to me,” he nearly shouted. And he had a rifle slung over his shoulder, so we did. Oh. That we understood. We definitely didn’t want to be shot so we joined the officer near the ground in our best imitation of tribal squats. “Good,” he said. “Now can’t see you.” And, sure enough, a minute later a giant black limo drove through the gates where we had just been, attached Rising Sun flags flapping with the speed of the vehicle. In an instant it was gone, up the hill and around the curve, presumably to some cushy luxury box where the occupants could watch the event in warmth and style. “Okay,” the guard said finally. We got up and slowly walked back to the path leading to the bobsleigh track. He followed us, apologizing for all the confusion. Apparently, we were just in the wrong place at the wrong time. And Kevin hadn’t been delayed at all because of the color of his skin. He just, by being a few seconds behind Bob and me, had tried to get in a pinch later than the time the guards had set to close off the entrance in anticipation of the arrival of the prince and his wife. We watched the two-man sledding competition in complete awe of the speed and the noise as the athletes flew by us, so close on the ice that we almost could have reached out and touched them. But every now and then we glanced at each other and chuckled. “Police will shoot you,” became our private little joke for the rest of our stay in Japan. And sometimes, when I’m lucky enough to run into Kevin at the CBS broadcast center, we relive the story and laugh all over again. And then we get sad. Bob’s been gone at least three years now. And it’s just no fun to be Julie and Linc without sweet Mike. Our Mod Squad days are over. Great one, Kim! I remember the great photos that you took and I do remember the story that you told me about the people waiting for permission to cross the street. Do you think it’s still that way? Probably. The Mod Squad, police will shoot you…very funny!